When you travel independently in Vietnam, you’ll find a brilliant blend of frenetic cities, untouched countryside and island hideaways. A sense of faded colonial grandeur still lingers in the cities, with wide boulevards and narrow alleyways packed with cyclos. During your Vietnam trip, you’ll discover mountain villages, bright green terraced rice paddies, huge limestone columns rising up from misty waters and idyllic tropical beaches. 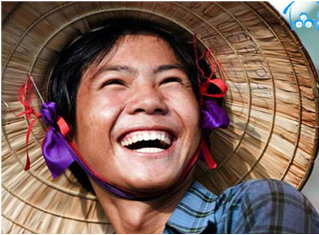 The Vietnamese people have big personalities, and will welcome you into their country with great warmth. Private day tours are suitable for the family, small group of friends or couples who don’t want to follow the schedule, limited time and to have better services. 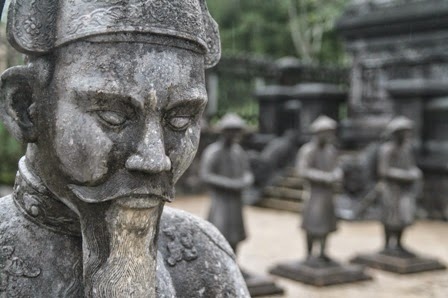 Vietnam Short Breaks features a selection of Vietnam short trips which are customized to help you explore the outstanding landmarks of Vietnam in limited time. All the recommended tours are privately organized by ABS Travel’s local team and all the itineraries can be adjusted to be longer or shorter to meet your expectation. Vietnam only has more than 3000 km of coast line, with many long, white sand beaches .Best beaches are Con Dao, Phu Quoc, Mui Ne, Nha Trang all of which are worldwide accredited. Come and enjoy Vietnam beach holiday. The Central land is the place which keeps many cultural values of nature and human-made. Stretch from Quang Binh to Quang Nam, the trip of the Road of Heritage Sites in Central Vietnam is the combination of heritage and the intangible which was recognized by UNESCO: Phong Nha Ke Bang National Park (Quang Binh), Hue Imperial City, Quang Nam with two heritage sites of Hoi An and My Son. On your route you will have chance to discover many other attractions such as Ba Na Hill, Cham island, Tam Giang Lagoon as well as beautiful beaches of Cua Dai, My Khe, Lang Co, Thuan An and Nhat Le. Vietnamese cuisine, developed over thousands of years with countless influences from other cultures, is a tantalizing blend of clean, fresh, bright, sweet, and hot flavors. “Food in Vietnam is wonderful” according to most of tourist comments. If you are a true chef, passionate or simply curious come participate in our cooking class in Vietnam. The best Vietnam Culinary tours you can find in famous cites such as Hanoi, Hue, Hoian, Saigon, Mekong Delta… ! Vietnam is blessed with many beautiful destinations for your honeymoon holiday. Beautiful beaches and deserted islands along Vietnam and Cambodia coastal lines, cruising opportunities in Halong Bay or along Mekong rivers, strolling historic alleys in world heritage towns of Luang Prabang or Hoi An. More than that, world class luxury hotels and resorts are all available for any pampering you need, amazing local cuisine and customs would definitely make your honeymoon experience more memorable. Cruising on Vietnamese style junk in Halong bay would enable you to have great view of limestone karst formation, pleasant breeze and great dining experience, Mekong river, running through Laos, Cambodia and Vietnam offers a ideal chance to enjoy picturesque scenes along the river and lively daily routine of the locals. 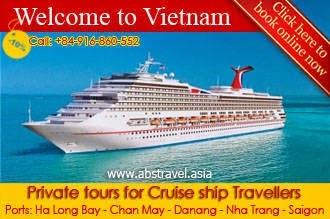 These tours are designed for travelers from cruise ships With a diversified network of many sea and river ports scattering from North to South, Vietnam is able to accommodate big international cruises and to offer an exotic destination for all cruises in Asia Pacific. 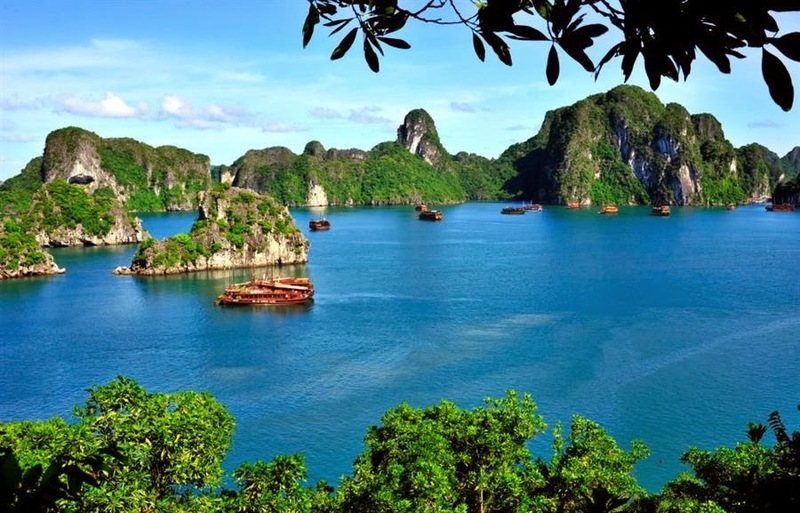 These tour programs will offer you an appreciation of Vietnam in different experience and different flavors; you will be drifting on a cruise proceeding along Vietnam’s shore and make stopovers in major cities to experience their characteristics. Discover the natural beauty of Ha Long Bay in the most unique way, cruising on your own private vessel with your own personal crew! Specially designed to provide a private & very individual experience, each boat explores a fusion between the local heritage with quality from 2 – 5 star amenities that you would find in any shore-based higher-class accommodation. Once you depart Halong City, it is just you & your own crew for the duration of your itinerary. Enjoy the unique experience of cruising between awe-inspiring limestone formations and experiencing first-hand the culture of local people living on floating villages within the internationally recognized Ha Long Bay UNESCO World Natural Heritage waters. We will offer opportunities to discover many less explored, beautiful and mesmerizing caves around Phong Nha National Park in the fascinating region of Central Vietnam. Our active tours from easy walking to hard trek adventure options that unveils the diverse landscape around Phong Nha National Park. Embark on a number of exciting trekking routes through dense forests and along mountain trails with breathtaking panoramic views. Biking has to be the ultimate way to explore all of destinations. There is no better way to get close to people in the countryside or to take in the extraordinary sights, sounds and smell of Vietnam and beyond. Get off the beaten tourist tracks and experience this amazing country of Vietnam. 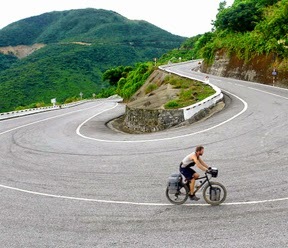 ABS Motorbike Tours offers a wide variety of motorbike tours, riding through spectacular mountainous area or simple countryside to see “The Real Vietnam”.